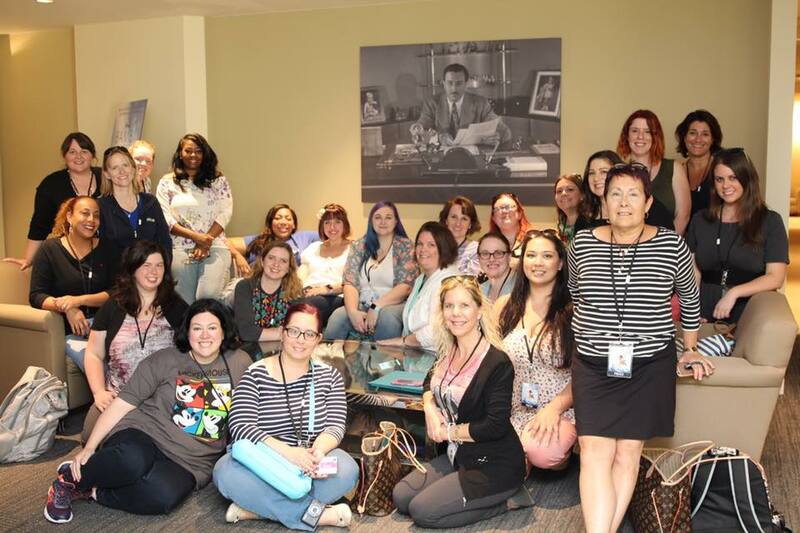 What an experience it was to tour Walt Disney’s personal offices! This tour was part of my recent trip to Los Angeles with Disney. All travel and accommodations were covered by Disney, but all thoughts and opinions are my own. Photos are courtesy of Disney. I remember touring the Walt Disney Studio lot a few years ago and looking up at the window where Walt Disney’s office used to be. Just seeing the outside window, despite the fact that we couldn’t go up to the office at the time, was cool. So much happened in that office while Walt was alive. So much magic. 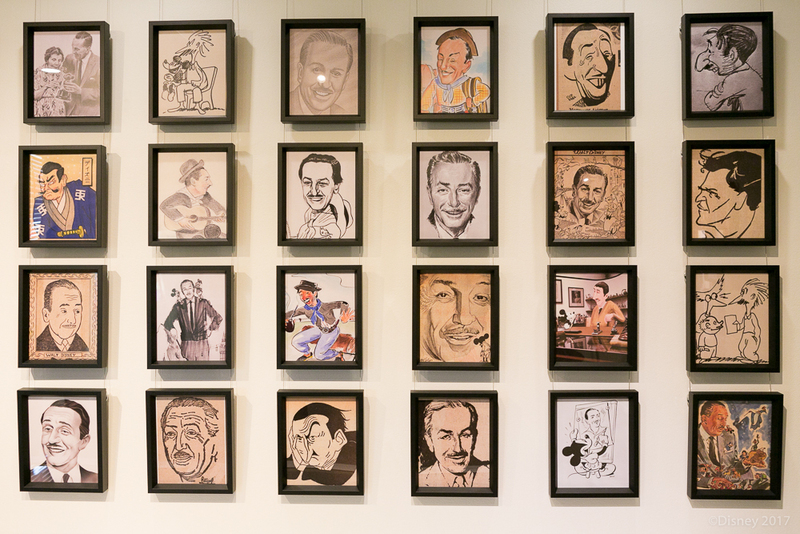 I had no idea several years ago that I would have the chance to walk through Walt Disney’s offices, but I’m so glad that I did. Suite 3H housed Walt Disney’s offices from 1940 until his death in 1966. 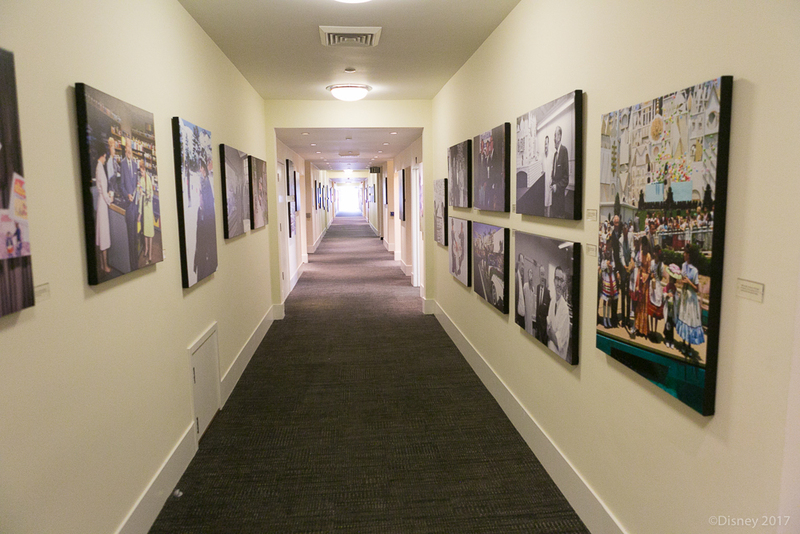 Those offices were the creative center of the Walt Disney Company – it’s hard to imagine the amount of creative magic that happened within those walls between 1940 and 1966! 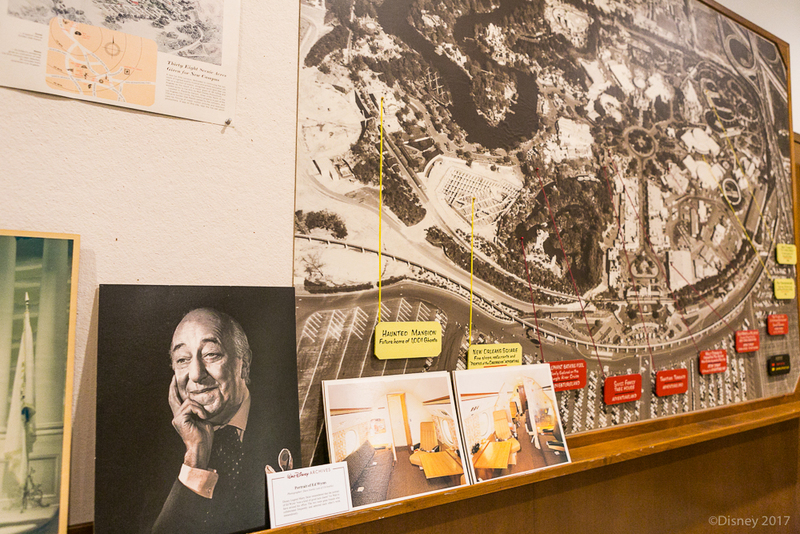 In 2015, Walt Disney Archives restored the entire space to reflect what Walt’s offices were like in the late 1960s. 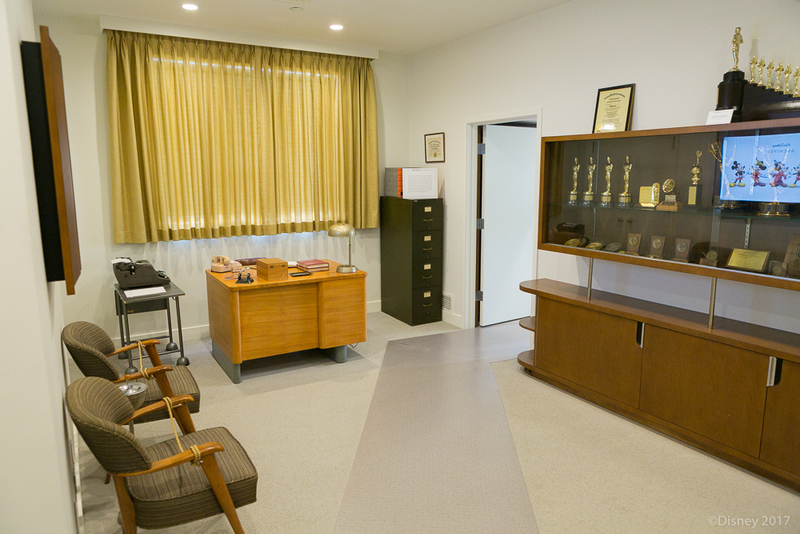 Luckily, many photos were taken of the inside of Walt’s office before his death, so the Walt Disney Archives team was able to recreate the look and feel of Walt’s office so accurately that people who were there when Walt was alive and have recently visited the restored space are shocked at how authentic it feels. It really is like walking back into a time machine. 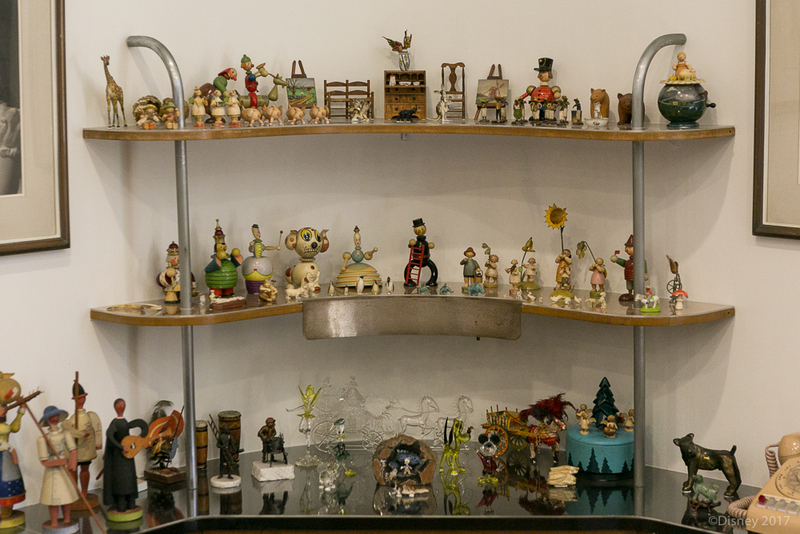 One of the things that impressed me the most about the recreation of the office space is that Walt’s personal possessions were gathered and placed back into the office. 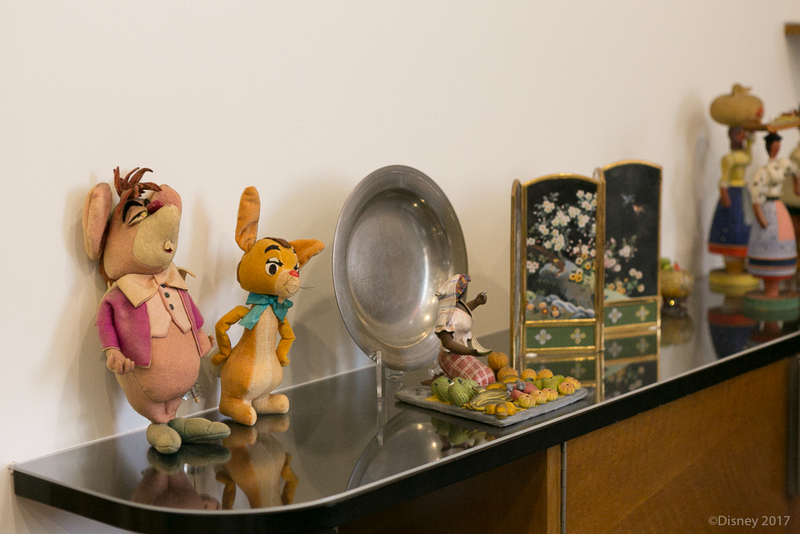 The items you see in the office are not replicas or copies – they are the actual items that once belonged to Walt Disney. Suite 3H consists of four main parts: the Secretary’s office, the Formal office, the Working office, and the Private room and gallery space. 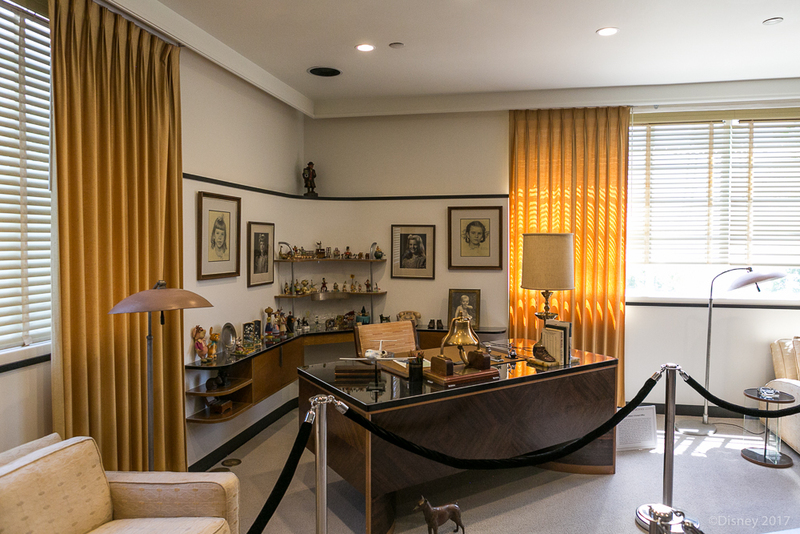 The secretary was the “gatekeeper” of Walt’s personal offices and schedule; everyone had to pass by the secretary’s office to gain access to Walt. 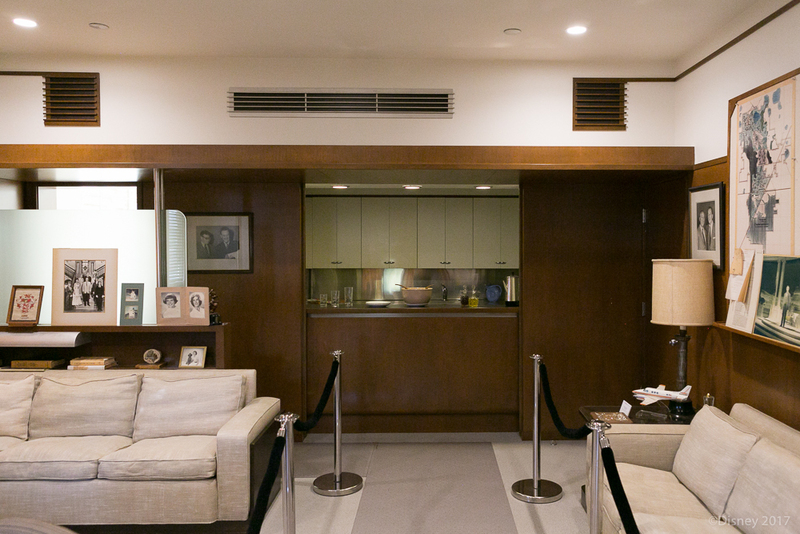 Apparently, it was nearly impossible to get into Walt’s office without an appointment. 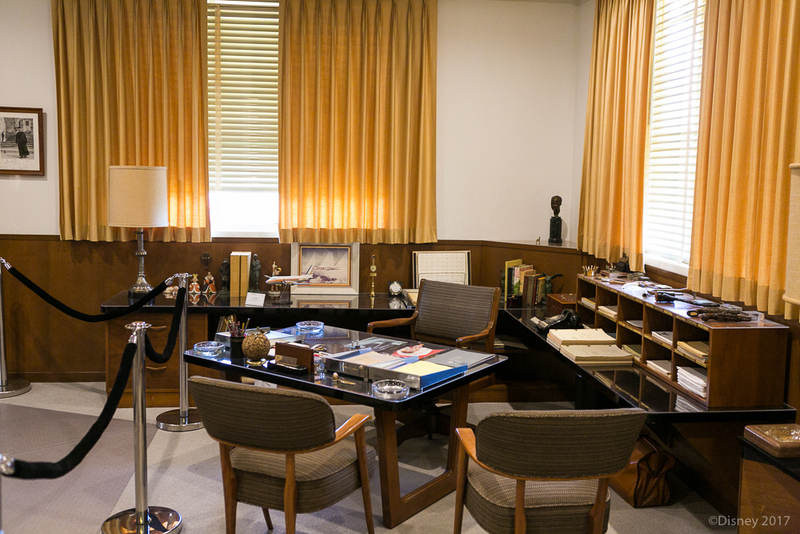 Walt’s formal office space was directly off of the secretary’s office. This was where Walt would meet with important guests. 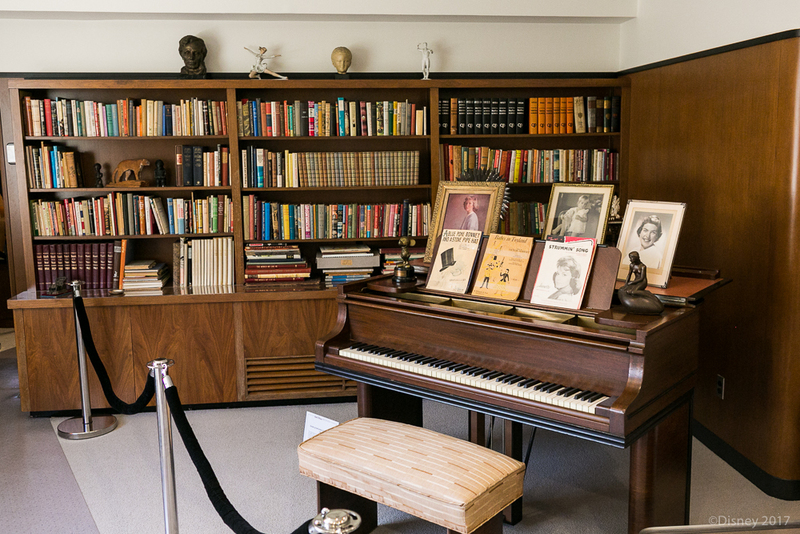 The formal office was where Walt had a grand piano, and composers and songwriters like the Sherman Brothers could often be found playing a newly-composed tune on the piano. Walt spent most of his working time here (from about 8:30 am until around 7:00 pm most nights). People were in and out constantly – producers, directors, writers, artists, etc. – and the working office was always in motion. Walt used the last space in his suite as his private quarters, complete with a bedroom and bathroom. Even though the room was designed to be used as a mini apartment or place to crash overnight after working late. Interestingly, Walt rarely used it as such. He used it most often to relax at the end of the day. 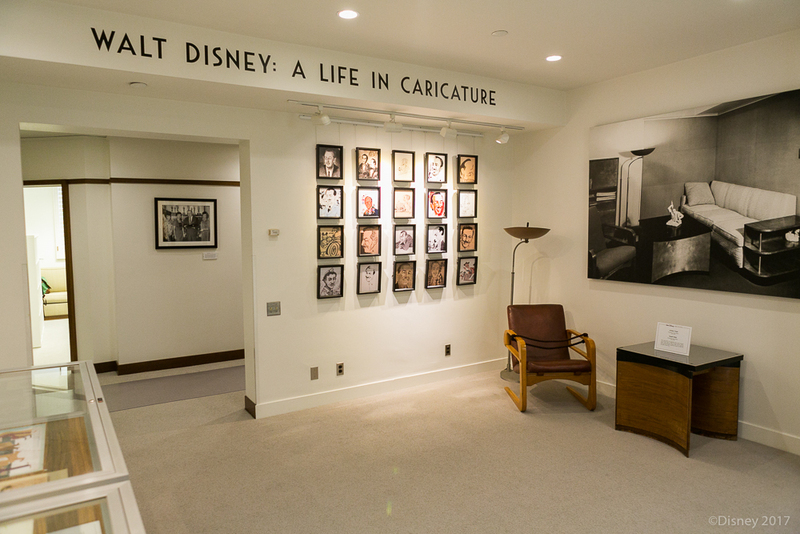 When the Disney Archives crew redesigned the suite, they opted to turn the private room into a rotating gallery space. 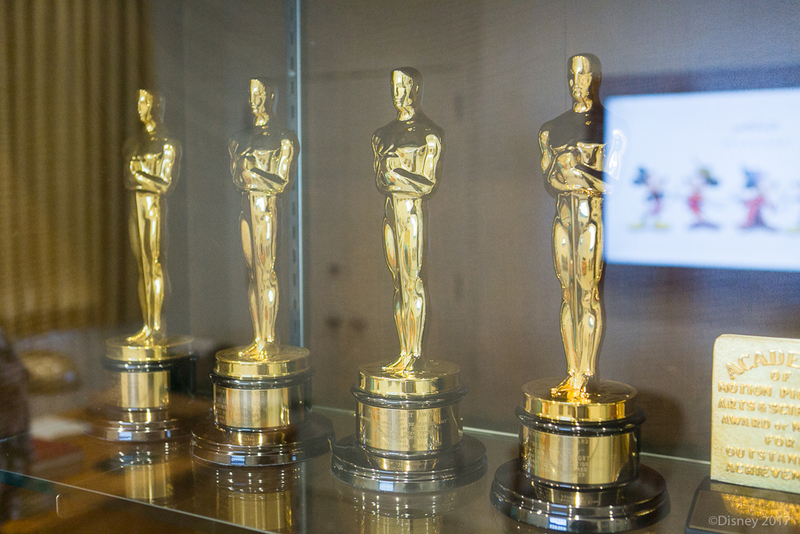 What would you be most excited to see in Walt Disney’s offices?